Any knowledge we have about Sumatra's bipedal primate, the Orang-Pendek, has to be assumptive. We are still at the beginning of our understanding of it. 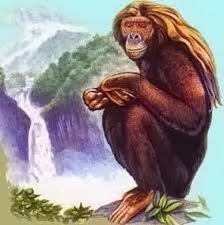 Data gathered from the Orang-Pendek project will no doubt take Cliff some time to analyze. In the meantime, here are ten clear observational points which I hope you enjoy. They are my opinion based on my previous research, and on some of the information on the project that has already been published. 2.It has a human like face. People will often describe the face in some detail, and take particular pains to differentiate between the Orang-Pendek's face, and that of say a monkey or a Gibbon, which many of them are of course familiar with. 3.It appears to be mostly solitary(like an Orang-Utang). The first eyewitness report I ever gathered, of seeing two of them together, is very unusual. 4.It can be active during the day and night(For example Cliff and I hear one call while we were filming). 5.It will normally run away when encountered by people. Only on one recent occasion, when I interviewed the King of the Suku Anak Dalam, did I hear of any possible aggressive behaviour by it. 6.It is very strong.I have seen logs overturned by the Orang-Pendek that would take several men to lift. People often describe the fact that it has a `huge torso`. 7.It does not have superior hearing to us. I had reasoned this by hearing eyewitness reports that often mentioned how they had disturbed the Orang-Pendek from whatever activity it was indulging in. I have used this method of moving as quietly as possible through the jungle to try and track it . 8.It has a penchant for soft fruit and sugar. It is often sen in farms foraging for, and eating such food. 9.It has historically been described as having different shade of hair from black in color to red. Recent sightings indicate a prevalence of grey or silver hair.